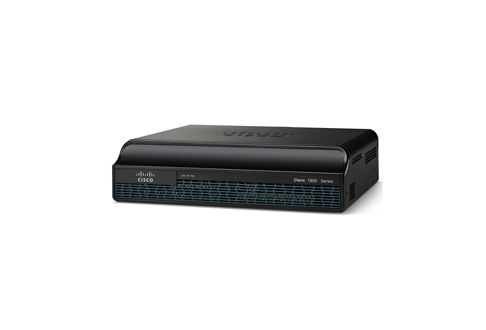 The Cisco 1900 Series Integrated Services Router is a common solution for small branch enhancement and to expand the availability of cloud-based services. Used Cisco 1900 routers can integrate with any WAN technologies and deliver secure information at speeds of up to 25 Mbps. Expand your operations with a used Cisco 1900 series router that takes advantage of modular design. Customize it for your specific operations, and maximize your investment along with its protections. Improve your network with used Cisco 1900 series routers to expand the reach of your applications and cloud platforms. Build your network as you see fit by selecting the right router for your needs. Options include up to 11 LAN switch ports, multiple hardware acceleration options, WAAS Express WAN optimization, 16 Wireless VLANs and cloud intrusion security programs. Expand or maintain your network without the costly expense of a new purchase from the OEM, whether that means buying or selling used Cisco 1900 series routers. Partner with Worldwide Supply to grow and scale your network, while maximizing your cost savings. With a wide variety of used networking equipment and the ability to buy your surplus equipment, we’re the only partner to rely for your network requirements. Give us a call at 888.328.2266 or contact us online to learn more about used Cisco 1900 routers and the other products we offer.